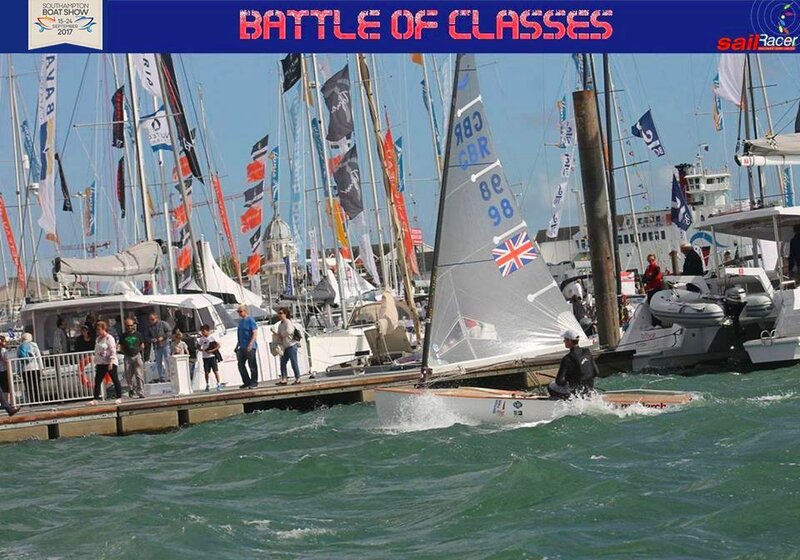 The Battle Of The Classes Pursuit Race will feature at the Southampton Boat Show on the 17th of September 2017. Hosted by Royal Southampton YC and SWAC with live GPS Tracking and online commentary from SailRacer. Each dinghy class is invited to enter two of their best boats to compete in the annual pursuit race. Competitors will launch from the nearby Southampton Water Activities Centre and will be competing on a course laid just off the boat show marina. Each class will be represented by just two boats so the standard will be as high because each class will be competing to show which class is best.